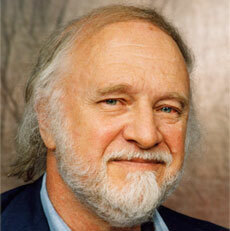 Richard Matheson Born Richard Burton Matheson on February 20, 1926, in Allendale, New Jersey, the third child of Bertolf Matheson and Fanny Swanson Matheson (née Svenningsen), both Norwegian immigrants. Grew up without his father, who abandoned the family. Graduated from Brooklyn Technical High School in 1943. Served as an Infantryman in Germany during World War II, then earned a journalism degree (1949) from the University of Missouri. Sold his first story, “Born of Man and Woman,” to The Magazine of Fantasy and Science Fiction in 1950, followed by “Third from the Sun” (later adapted for the television series The Twilight Zone) and others the same year. Moved to Santa Monica, California, in 1951; married Ruth Ann Woodson, with whom he would have four children, in 1952. 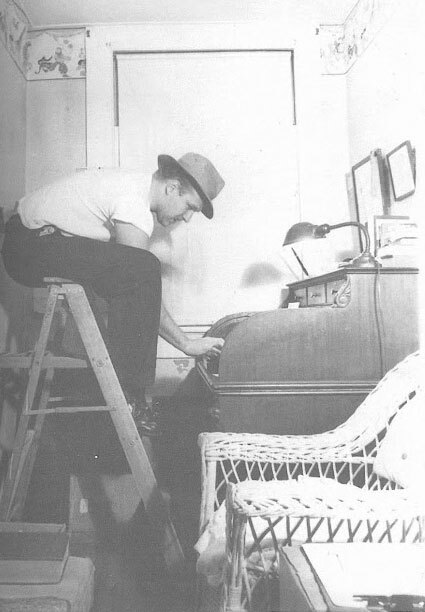 Worked as a postal clerk and at an airplane factory, writing stories and two suspense novels, Fury on Sunday and Someone Is Bleeding (both 1953), in his spare time. Published Born of Man and Woman (1954), the first of many story collections. His third novel, I Am Legend (1954; filmed as The Last Man on Earth, 1964; The Omega Man, 1971; and I Am Legend, 2007), gained him wider attention. For his fourth, The Shrinking Man (1956), he also wrote the screenplay (a condition he insisted on when he sold the film rights), beginning a long-sought career as a film and television writer; it was filmed as The Incredible Shrinking Man (1957). Traveled to London to write a screenplay, ultimately blocked by the British censor, for a Hammer Studios version of I Am Legend. 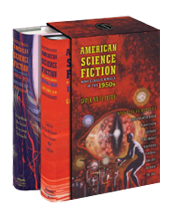 Published supernatural science-fiction novel A Stir of Echoes (1958, filmed 1999); suspense novel Ride the Nightmare (1959); and semi-autobiographical World War II novel The Beardless Warriors (1960). From 1959–64, wrote 14 episodes for The Twilight Zone, with two more adapted from his stories; also contributed to many Western and fantastic television series including Star Trek (“The Enemy Within,” 1966), and wrote a number of screenplays, most notably adaptations of Edgar Allan Poe stories for director Roger Corman, 1960–63. His short story “Duel” (1971) became the basis of Steven Spielberg’s first feature film, made for television the same year. Later novels, many adapted for film, include Hell House (1971), Bid Time Return (1975), What Dreams May Come (1978), and most recently Other Kingdoms (2011). His Collected Stories was published in three volumes in 2003–05. Won the World Fantasy Award for Life Achievement in 1984 and was inducted into Science Fiction Hall of Fame 2010. Lives in Calabasas, California.